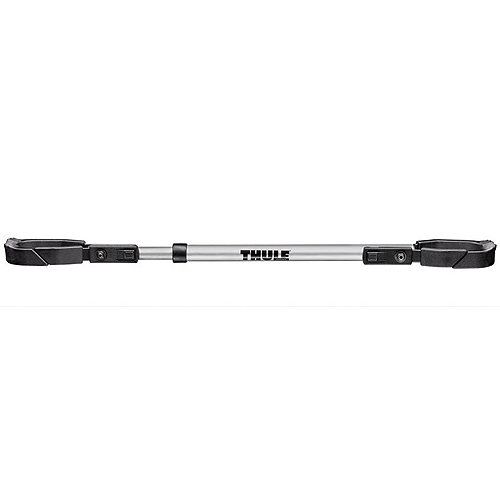 The Thule 9043 Helium Aero lightweight aluminum 3 bike trailer hitch receiver mounted bicycle rack is nearly half the weight of traditional steel frame hitch racks. 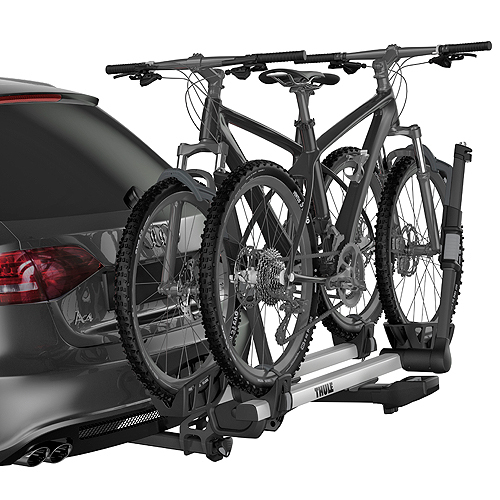 Thule has incorporated maximum convenience, bike protection, and security all into one sleek, stylish hitch rack. 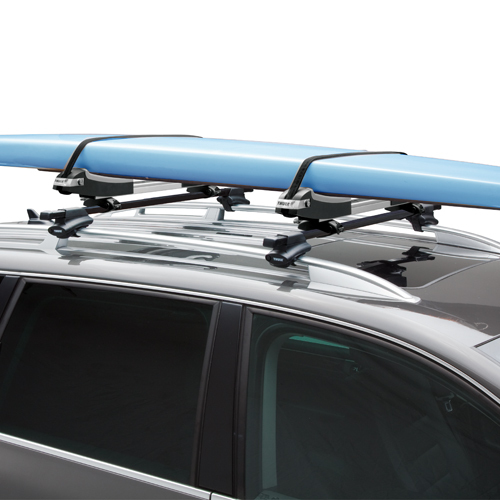 The Thule 9043 Helium Aero's Snug-Tite Stinger makes installation easier than ever. 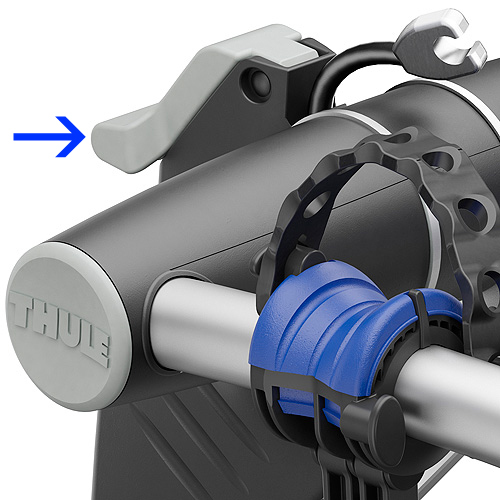 To install, simply insert the 9043 bike rack into your receiver hitch and tighten the oversize knob at the base of the rack. 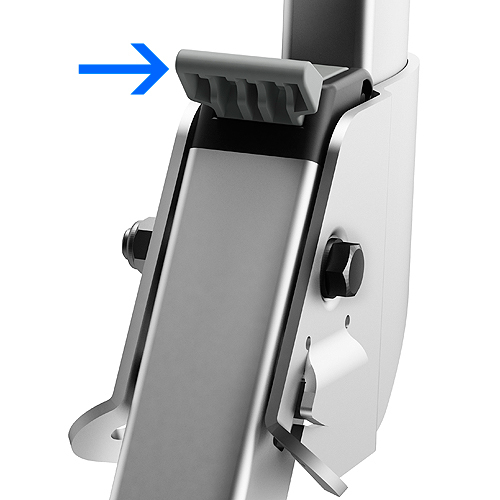 Tightening the knob virtually eliminates rack movement by pushing outward against the inside of the receiver hitch. The Helium Aero accommodates both 1.25 and 2 inch receivers right out of the box. 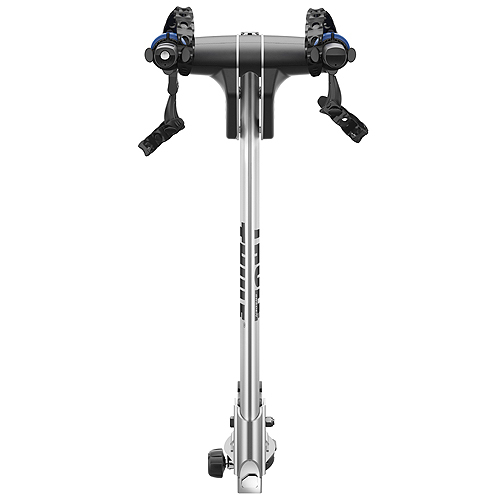 The Helium's Sleek Aero Design and Ultra-Light Aluminum Frame greatly improve ground clearance and increase the distance between bikes for superior bicycle protection. 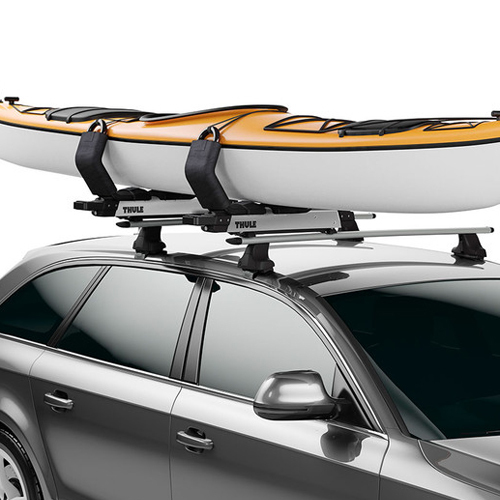 Bikes are fastened to the carrier using Thule's patented Hold Fast Cradles with RDT (Road Dampening Technology). RDT dramatically reduces road shock and vibration. The RDT cradles are designed with thermoplastic elastomer (TPE) for a flexible, soft texture that gently, but firmly, secures your bike frame. 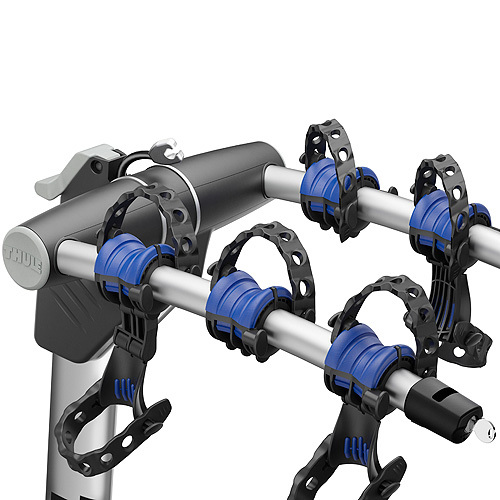 The included No-Sway Cages with RDT provide extra stability and help prevent bike-to-bike contact. 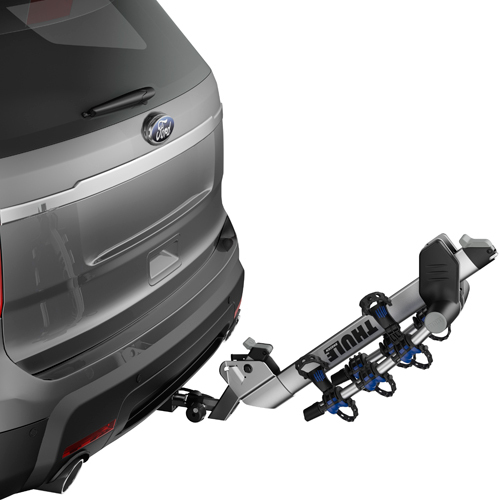 The lower Hitch Switch Quick Release Lever enables fast and easy access to the rear of your vehicle. 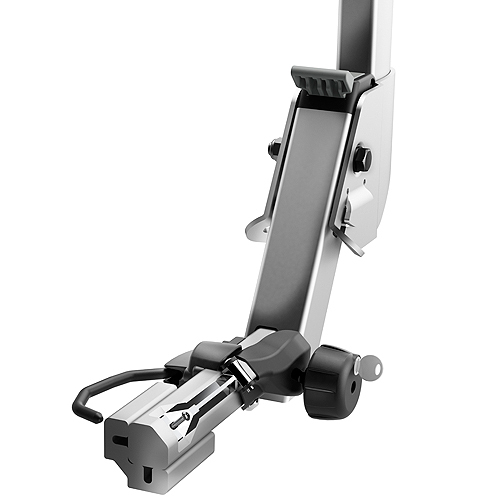 The upper Hitch Switch gives you the ability to quickly fold down the bike support arms when the rack is not in use. All bikes must be removed from the carrier before tilting it down. 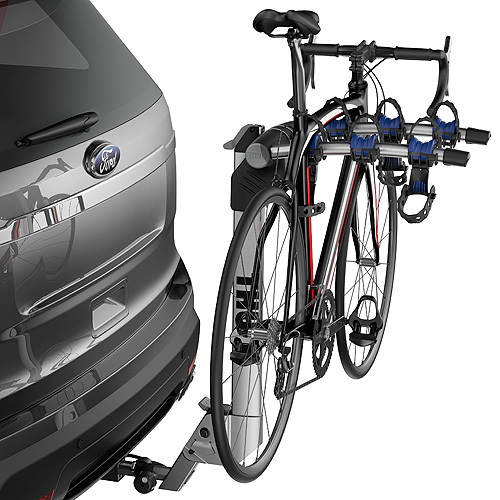 The Helium Aero provides full locking security for your bikes with an Integrated Locking Cable to lock your bikes to the rack and a Locking Knob that locks the rack to your vehicle. 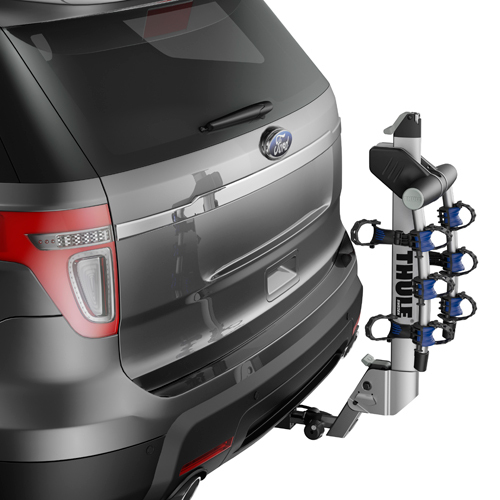 Please check this fit compatibility chart to ensure this bike rack is going to work with your particular hitch style - Thule Hitch Rack - Fit Tips Chart.